Paul Brown, a solicitor and accredited litigator with 17 years' experience in handling serious injury cases, is in Westminster today for the launch of a new report on Acquired Brain Injury. Paul (pictured above right) is in Westminster in his role as the Secretary of the UK Acquired Brain Injury Forum (UKABIF) for the launch of a new report from the All Party Parliamentary Group (APPG) on Acquired Brain Injury (ABI) . Entitled Time for Change, the report has taken evidence from a range of medical and other experts and makes 20 key recommendations for action to improve outcomes for those suffering ABI, whether from major incidents such as car crashes through to those associated with sport-related concussion. 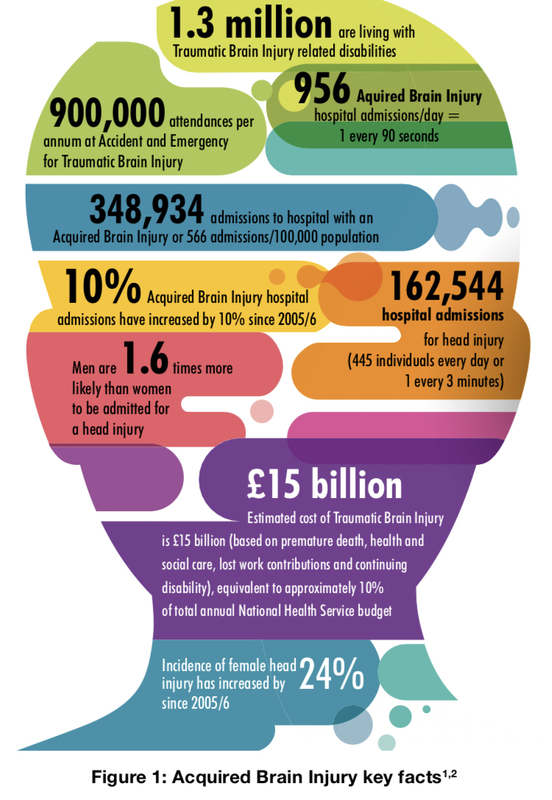 The report also highlights the scale of the problem with 956 hospital admissions related to ABI every day (that’s one every 90 seconds) and 1.3 million people living with traumatic brain injury-related disabilities at a cost of £15 billion per annum to the UK. As secretary of the UK Acquired Brain Injury Forum and its Northern England equivalent, the Northern Acquired Brain Injury Forum, Paul has been closely involved in the production of the report and in lobbying for cross-party support to make improvements happen. With his experience as a specialist solicitor and his voluntary work as Chair of Headway Wearside, Paul has seen the results of delayed treatment and low levels of awareness of brain injury for many years. But he has also seen the benefits of early recognition and specialist neurorehabilitation. Paul is in Westminster today along with local campaigner, Liz Twist MP for Blaydon, and with Brain Injury survivors across the country who talk about their own personal journey following brain injury. 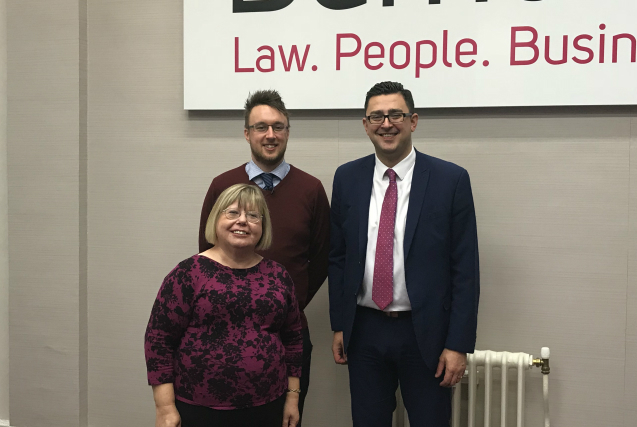 Photo caption (left to right): Liz Twist MP, Codey Sharp and Paul Brown (both of Burnetts). Codey suffered a brain injury himself as a teenager and has been working with Paul at Burnetts. The Secretariat of the APPG on Acquired Brain Injury can be contacted via 0845 608 0788 and the full Time for Change report will be published online at www.ukabif.org.uk/campaigns from 1pm on 10th October 2018. Headway Wearside is a brain injury charity affiliated with Headway UK, the brain injury association supporting brain injury survivors, their families and carers in Sunderland and the surrounding area.